Yes, we know the links too. This is where home begins. What better place to play golf than in the temperate, four-season climate that is Williamsburg, Virginia? Some of the finest fairways and greens in America are intertwined with our region’s rich history. 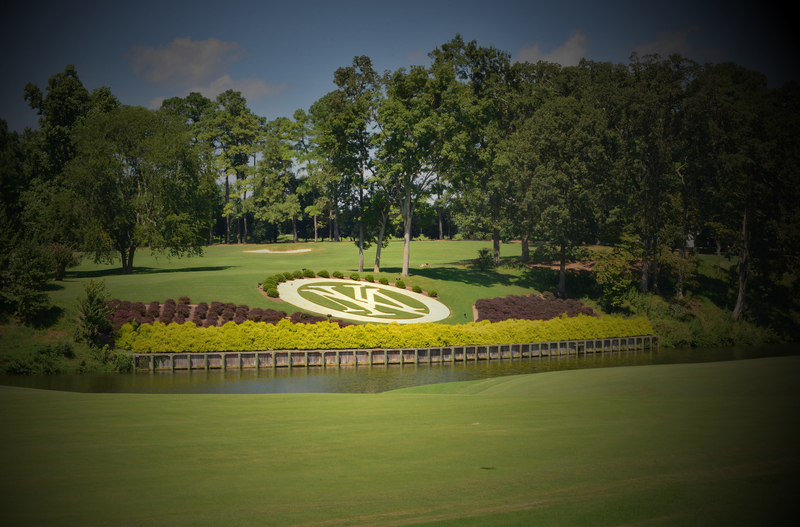 From 25 award-winning recreational golf to professional-caliber courses and tournaments, including the LPGA Kingsmill Championship, it’s all within a club’s length distance right here in Williamsburg, Virginia. Beautiful and breathtaking with lush and rolling landscapes, this course is located between Williamsburg and Richmond. Curtis Strange, former U.S. Open Champion, designed the course from using some of his favorite holes around the world as inspiration. Golf Digest rates Brickshire at 4.5 stars out of 5. Combined membership packages are offered with the courses at Royal New Kent and Stonehouse. Artfully designed by Arthur Hills, locals and golfers from the surrounding area come to Colonial Heritage for a challenging experience that blends sport with class. Other amenities include a driving range, a putting practice green and pro shop. After spending the day playing through 175 beautiful acres of densely wooded grounds and open vistas, players can wind down in the guest’s clubhouse with your choice of fine dining in the Colonial Heritage restaurant, the more informal Grille with full bar, and a snack bar. Designed by Dan Maples and boasting three beautiful 18 hole courses – Blackheath, Blue Heron and Marsh Hawk – Ford’s Colony offers something for golfers at every skill level. With fairways and greens of forgiving to championship-caliber, each of the 54 holes offers differing terrains to excite and challenge even the most seasoned golfers. Looking to hone your swing or fine-tune your accuracy? Sign up at The Golf Academy at Ford’s Colony Country Club and start to maximize your potential. K.HOVNANIAN’S FOUR SEAONS COMMUNITY IS DESIGNED WITH THE NEW GENERATION OF ACTIVE ADULTS IN MIND. Bookended by a professional-grade golf course and the confluence of the James and Chickahominy Rivers, this striking community, originally developed by Virginia Power in 1987, offers some of the best in luxury living! Re-sale homes make up the majority of offerings today, but a sprinkling of yet to be built on lots can also be found. Brick exteriors and all-natural materials are hallmarks of this striking neighborhood. Homes in Governor’s Land also tend to be a bit larger and membership in the Club is mandatory. The Club also offers full marina services in a protected harbor, with quick access to both rivers. The best of recreation combines with relaxation to offer an inviting and sumptuous retreat! So, if you are sailor of the deep blue sea or a golfer of the deepest greens, you may want to consider Governor’s Land at Two Rivers. Home to three highly-competitive and unique 18 hole golf courses, practice ranges and putting greens, a full service Pro Shop, and a Golf Academy, The Club at Kingsmill offers selective choices for all levels of the golf enthusiast! Set against the backdrop of the majestic James River, the River Course, designed by legendary architect Pete Dye, challenges your every swing and stroke. The lush and wide Plantation Course, designed by the one and only Arnold Palmer, offers bermed terrain, accommodating fairways and historic views. The Tom Clark-designed Woods Course, designated for member-play only, provides an unadulterated , golf experience tucked away in your own private corner of the community. Resort guests have access to the River and Plantation courses. Members may play all three courses! Follow in the footsteps of some of the world’s greatest golfers on the River Course while at the same time traversing land claimed by our earliest forefathers that laid the foundation for the new colony to become the United States of America! Stonehouse is one of the more challenging courses in the area and has amassed accolade after accolade. Opened in 1996 and designed by the notable Mike Strantz, be prepared to test your skills on the tumultuous layout with varying elevations that often create blind shots! Combined memberships are offered with Royal New Kent and Brickshire with numerous member and social events on the calendar. Golf Digest named it one of the top six courses in Virginia, and Golf and Travel Magazine listed Stonehouse as one of the “100 Best New Courses” in the United States! It’s nothing but pure golf at the Golden Horseshoe! Designed by Robert Trent Jones, Sr. and his son, Rees, spend the day with golfing buddies on your choice of two walkable, 18-hole courses – the Gold and the Green courses – or, play the Spottswood Course, voted “best short nine-hole course in the United States” by Golf Magazine! The Golden Horseshoe is also ranked as one of the “Top 100 Resort Courses in America” by Golfweek Magazine. All three courses are designated Audubon Sanctuaries. After golf, make reservations for dinner at the Williamsburg Inn for an unforgettable evening! This award-winning golf club is home to two beautiful courses. Designed by PGA golfing legend Jack Nicklaus, the award-winning Jamestown Course is appropriate for golfers at all skill levels and earned Golf Digest’s four-star distinction. With a reputation for improving the golf game of every player, the layout of this 18-hole course offers unique challenges and has hosted major tournaments such as the PGA Tour Michelob Open. Located between Diascund Creek and the Chickahominy River in the upper part of James City County, Royal New Kent opened in 1997. In 1999, this captivating course was named one of “America’s Top 100 Greatest Golf Courses” by Golf Digest and in 2001 was ranked among the top three courses in Virginia. Reminiscent of the Irish landscape, Royal New Kent has been called “the truest representation of an Irish links in America.” First-rate conveniences such as a full service pro shop, and dining and meeting facilities are offered along with golf packages and combined membership packages with Brickshire and Stonehouse. Designed by award-winning architect John LaFoy and situated along the ridge of a natural bluff, Kiskiack offers 18 holes of great golf for all players. So, whether you are new to the game or a seasoned veteran, the picturesque course at Kiskiack, set on a historic Indian plantation, provides wide and forgiving fairways, challenging bunkers and ponds, terminating in verdant and manicured greens.